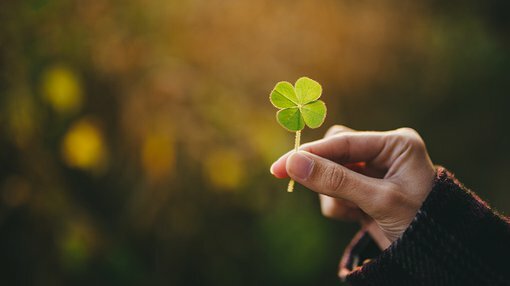 Zinc of Ireland (ASX: ZMI) continues to enjoy success at its Kildare zinc project in Ireland with results from drilling at the McGregor prospect building on the promise that has already been demonstrated through returns at the nearby Shamrock prospect. The news sparked investor interest as ZMI’s shares surged nearly 10% on the open. One of the key features from this latest round of results was the particularly thick intersections. As can be seen below these were also accompanied by solid grades which were intersected from surface to more than 400 metres. As highlighted by management, the results from McGregor and Shamrock reinforces the significant potential of the Kildare project and are the forerunner to what is shaping up as a potential highly promising phase 2 drilling program early next year. Management echoed the sentiments of FinFeed in referring to the robust zinc price performance with it recently hitting a nine year high and the spot price nearly doubling in the last year. With nickel and copper both performing well, it is easy to overlook zinc plays, but as indicated by FinFeed the supply demand dynamics for zinc remain compelling. However, investors should note that this is an early stage play and forward projections regarding exploration results, commodity prices and share prices are only estimates and those considering an investment in ZMI should seek independent financial advice. 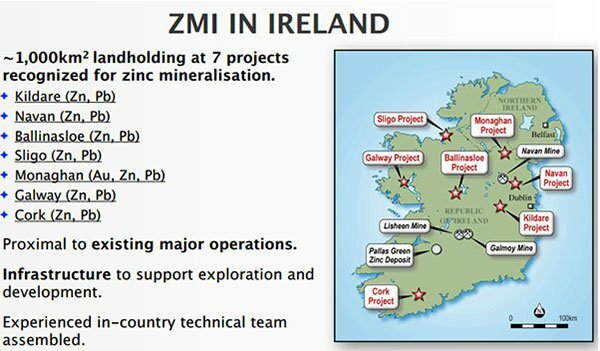 ZMI’s management highlighted the fact that the group’s Irish zinc portfolio, and the Kildare project in particular, present an outstanding opportunity for the company to participate in this emerging market opportunity. Indeed, with the company’s mines situated only 40 kilometres from Dublin, the group is well-placed to service European markets or export to industrial powerhouses in Japan and Asia.